Kirstina Rasmussen Colllins: Bio & Choral Music | Santa Barbara Music Publishing, Inc.
Choral conductor, composer, and educator, Kirstina Rasmussen Collins grew up in the Midwest singing in school choirs and writing pop songs. She moved to Los Angeles to study music composition at University of Southern California’s School of Music. Studying with Morten Lauridsen, Kirstina further discovered her love for writing for the voice, while having transformative experiences singing with the USC Chamber Singers. Following her Bachelors of Music, Kirstina followed her passion for choral music to Boston University, where she studied Choral Conducting with Ann Howard Jones, receiving her Masters in Music degree. Kirstina had the privilege to teach for a year as a visiting instructor at Luther College, working with Tim Peter and the late Weston Noble, from whom she learned much about the communal impact of choral music. She carried this understanding to later teaching environments: Proctor Academy (a college prep boarding school) and Colby-Sawyer College in New Hampshire, Newport Center United Methodist Church back in California, and two West Los Angeles elementary schools, before returning to graduate work at the University of Southern California. After returning to school, she also directed a Los Angeles based women’s choir, the Ebell Chorale, and taught choir and music appreciation courses at Ezra University, a small bible school in LA. Through the years, Kirstina has had commissions, premieres and performances of her choral works: by the Harvard Glee Club, San Francisco Choral Society, and Peninsula Women’s Chorus, among other ensembles. As a vocalist, she enjoyed singing in the Tanglewood Symphony Chorus under Jon Oliver, and the Los Angeles Master Chorale under Grant Gershon. Kirstina is now pursuing a DMA in Choral Conducting at the University of South Carolina, after transferring from the DMA program at the University of Southern California’s Thornton School of Music in Los Angeles. She is eager to learn more about her craft, teach theory and ear training, and eventually teach music and choir at the collegiate level full-time. 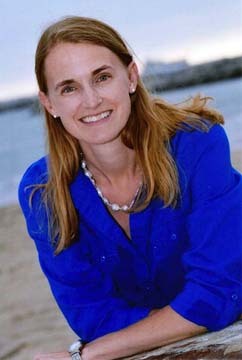 Kirstina Rasmussen Colllins has 2 titles published with Santa Barbara.